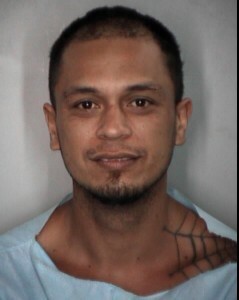 HONOLULU —Missing Big Island extended furlough inmate Coburn Kaimiola Jr. has been returned to HCCC. Coburn Kaimiola was arrested on a warrant by Hawaii Police on November 21. He was returned to HCCC yesterday. On July 11, 2013, Coburn Kaimiola left a Kona extended furlough house without authorization. Inmates in the extended furlough program live and work outside of the facility but must check in at various times each week. Coburn was serving time for Unauthorized Control of a Propelled Vehicle, Promoting a Dangerous Drug, and Prohibited Acts Related to Drug Paraphernalia. Escape 2 is expected to be added to his charges. His next parole hearing is scheduled for December.